In today's world of instant, public communication, the next PR crisis is only as far away as the next tweet, Facebook post, or Oscars introduction. Just ask John Travolta, who is still taking a ribbing for mangling singer Idina Menzel's name as he introduced her at the recent awards show to sing her smash hit "Let It Go" from the movie Frozen. Let's hope Travolta's people subscribe to SmartCEO. If they do, they can hurriedly flip to page 10 of the March/April issue to check out "Crisis Averted." 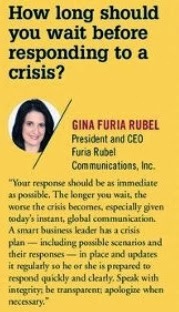 The latest edition of the business magazine features advice from leading public relations professionals on how to respond to crisis. It's a topic we here at Furia Rubel address frequently with our clients, so it's no surprise that our fearless leader Gina F. Rubel had some great advice to share. For our clients, that advice will sound familiar: prepare responses to various scenarios well in advance, so you are ready to respond as quickly as possible if a crisis does break. Having a team in place, with guidance at the ready, will make all the difference in speedily addressing issues ranging from poor customer service to political feuds to egregious social media posts. To read the full article, see the online edition of SmartCEO. 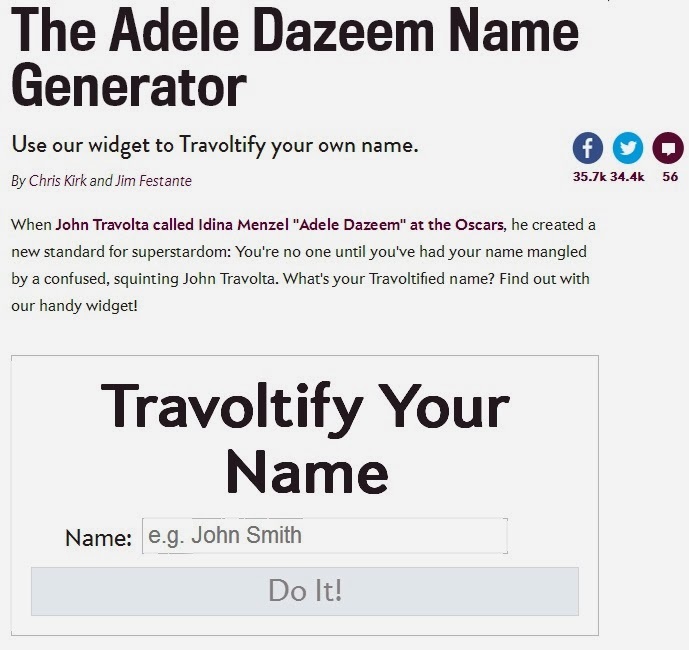 And if you want to feel like a star, visit Slate, to "Travoltify" your own name. On Tuesday, Slate editor David Plotz said on Twitter that "the John Travolta name generator is the most popular story in Slate history."